Budapest is a city like no other. Shaped by centuries of warfare, the capital city of Hungary has gone through various changes and rebuilds. Today, Budapest is a mishmash of different architectural styles from Roman, Turkish, Baroque, with a little modern Art Nouveau thrown into the mix. 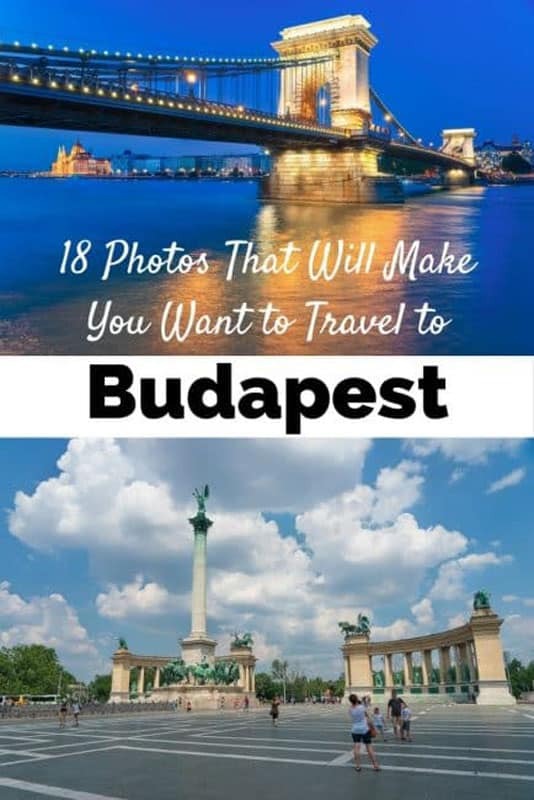 This creates an opportunity to take unique and diverse pictures of Budapest where one could spend days exploring both sides of the Danube. 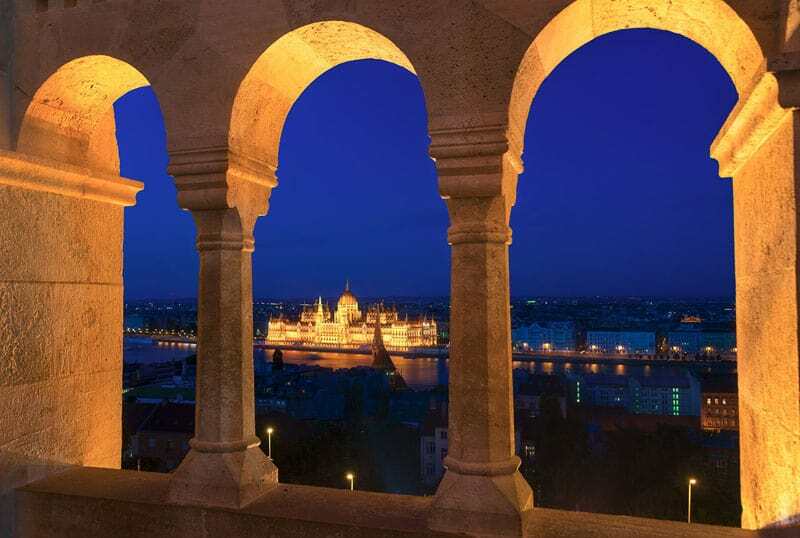 Separated by the Danube River, two distinct districts, Buda and Pest make up Budapest. 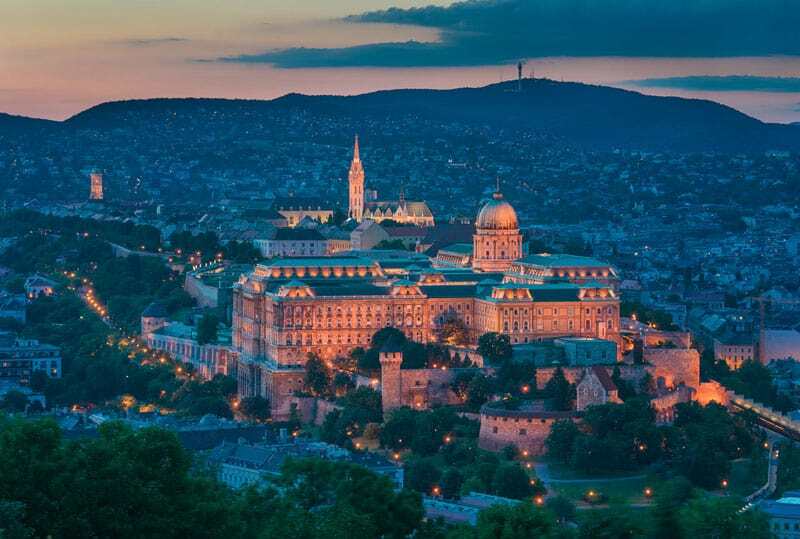 Buda’s castle district is a renowned UNESCO World Heritage site full of museums, palaces, and Art Nouveau churches that’s popular with tourists. Pest, on the other hand, is very cosmopolitan, full of restaurants and bars with a laid-back vibe. Both districts offer different things and both will make you want to pack your bags and check out Budapest right now. The Danube River separates Buda and Pest districts. A number of bridges connect the two. Seen here in the south are Elisabeth Bridge and the Széchenyi Bridge to the north. 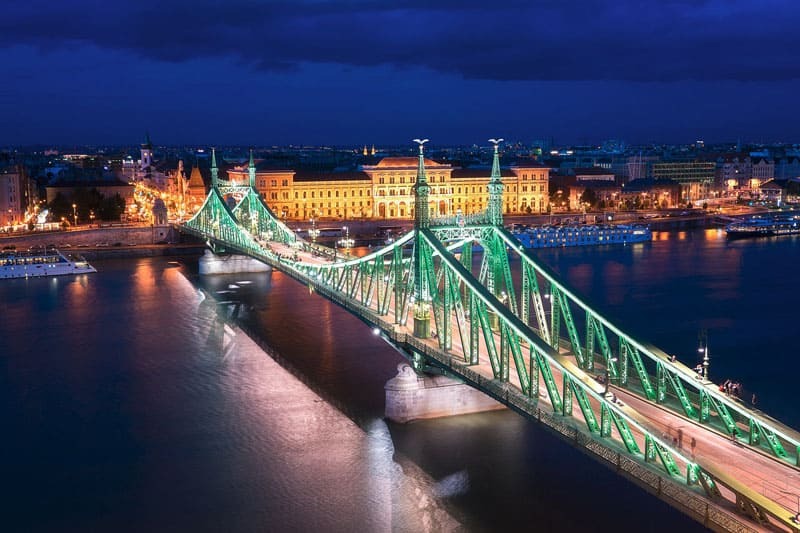 The bridges make for incredible pictures of Budapest when they are lit up. A good place to take photographs from above is the Citadel at Gellért Hil. 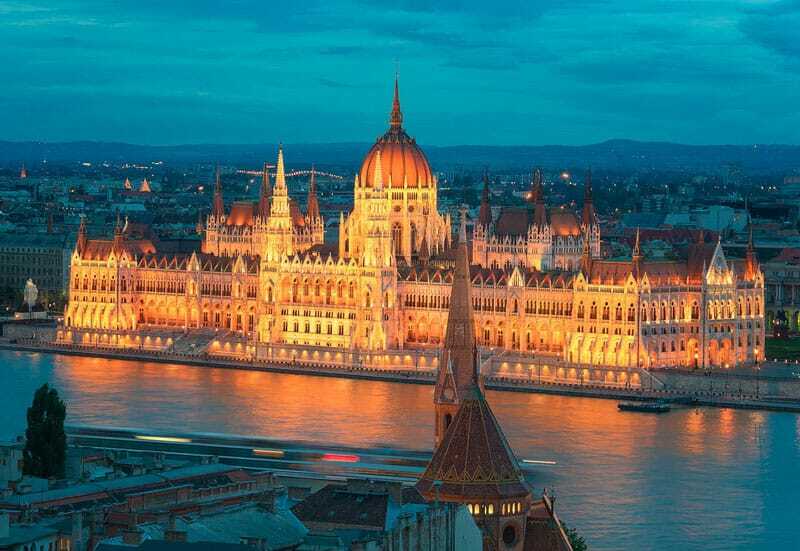 To really see the beauty of Budapest book a cruise of the Danube at night. 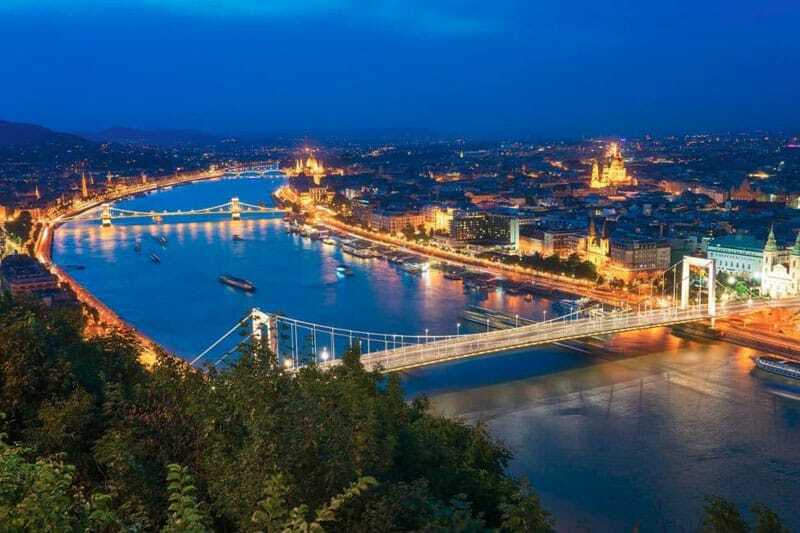 The Chain Bridge, or Széchenyi Bridge, lights up at night complementing the famous Blue Danube. Taking pictures of Budapest from either side of the Chain Bridge is worth the hike down to the river. 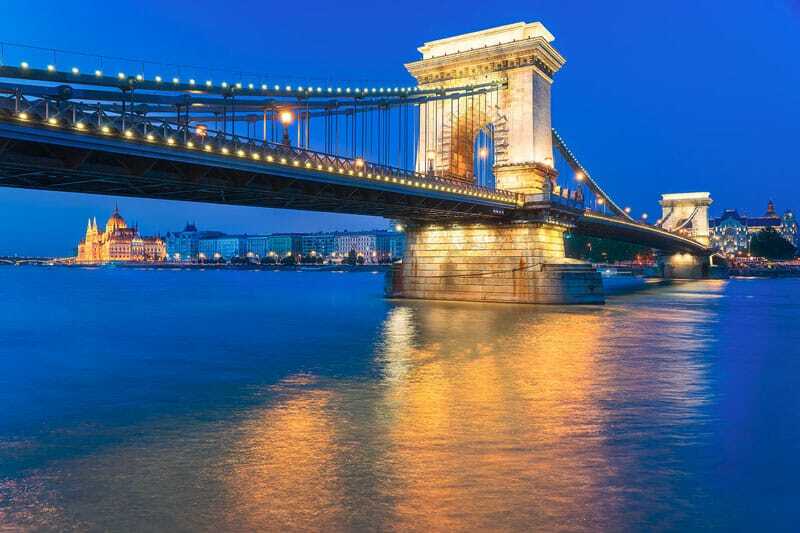 Check out our Hungary Travel Guide. The Buda Castle is an imposing landmark in the Buda district. It served as the historical complex of Hungarian Kings. When visiting Budapest you must go to the historic Roman Baths Things can get busy during peak season in Budapest. Buy tickets in advance and skip the line. View of the Danube and Chain Bridge from the Castle Hill Funicular. The Castle hill funicular provides easy access to Buda Castle. It takes you to a high vantage point offering the perfect overhead view to capture postcard-perfect pictures of Budapest. 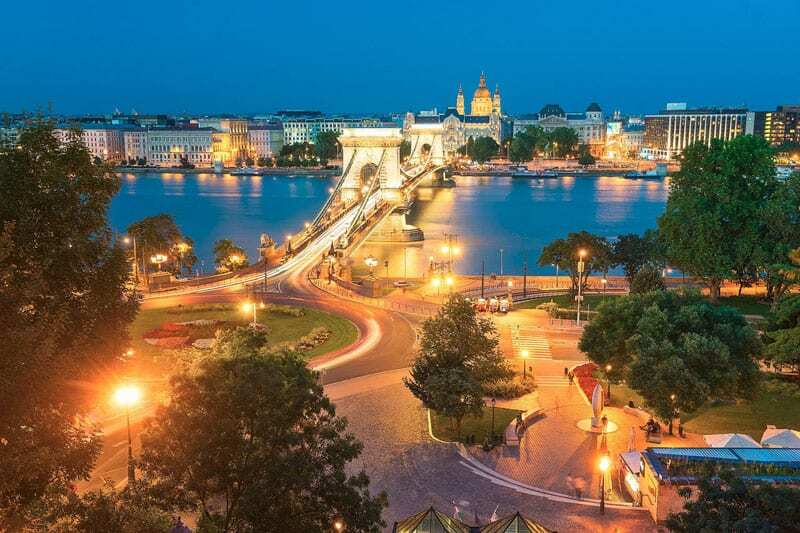 The Budapest City Card lets you enjoy unlimited free public transportation, free or discounted entry to over 100 museums and special sights, discounts in restaurants and much more. Buda Castle provides panoramic views of Budapest. Gellert Hill and Elisabeth Bridge are visible at a distance. Just around the corner of Buda castle is the neo-Gothic terrace of the Fisherman’s Bastion. 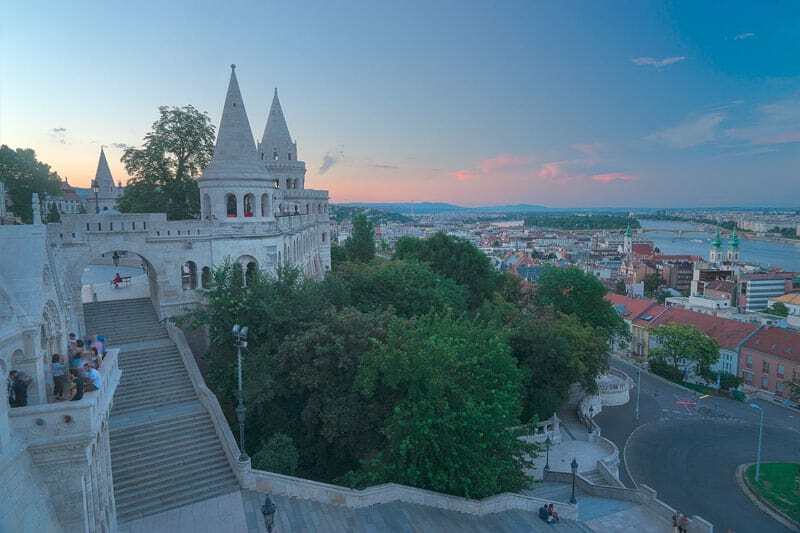 The Fisherman’s bastion offers fantastic views of the Danube and the Pest district. The Parliament, one of Europe’s oldest legislative building, is seen here from one of the ramparts of the Fisherman’s Bastion. 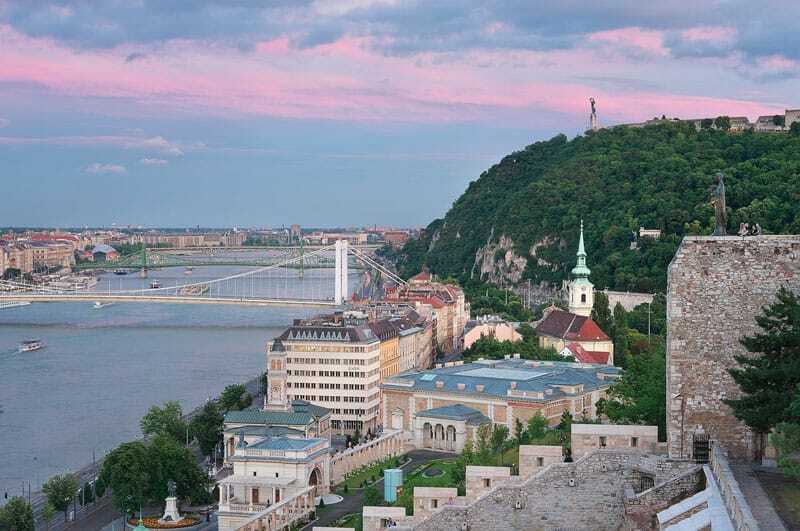 Directly to the south of Castle hill lies Gellert hill, a 235-meter hill overlooking the Danube. 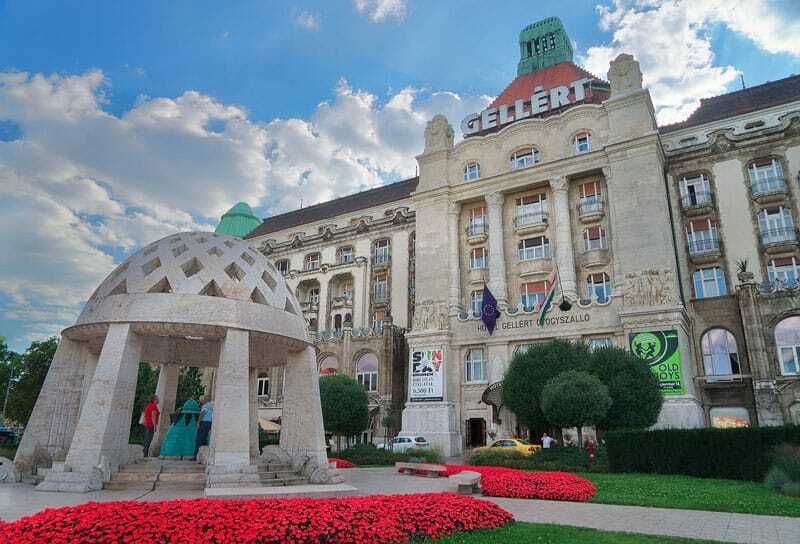 Hotel Gellert, seen here, exemplifies the Art Nouveau style. Hiking up Gellert Hill will offer you views of the Pest skyline such as this. The Liberty Bridge, erected right below Gellert hill, also connects Buda and Pest in the southern part of the city. 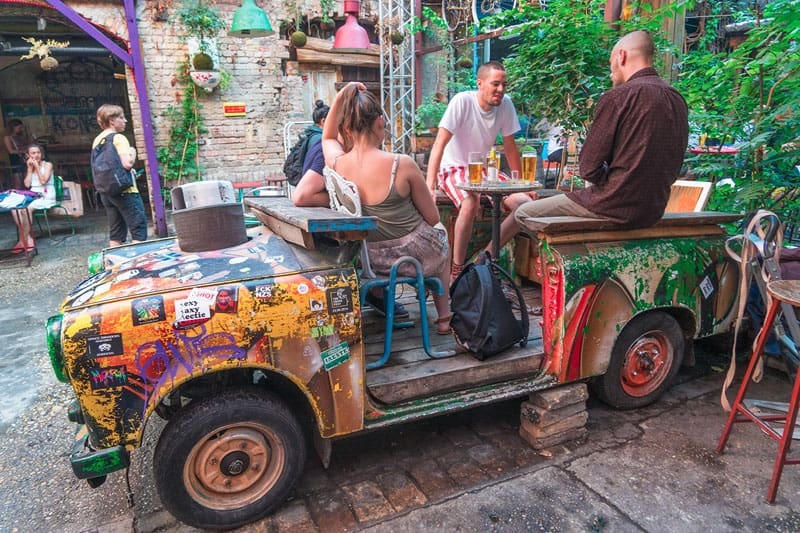 Ruin bars, such as Szimpla Kert make Pest a distinctly different district than Buda. 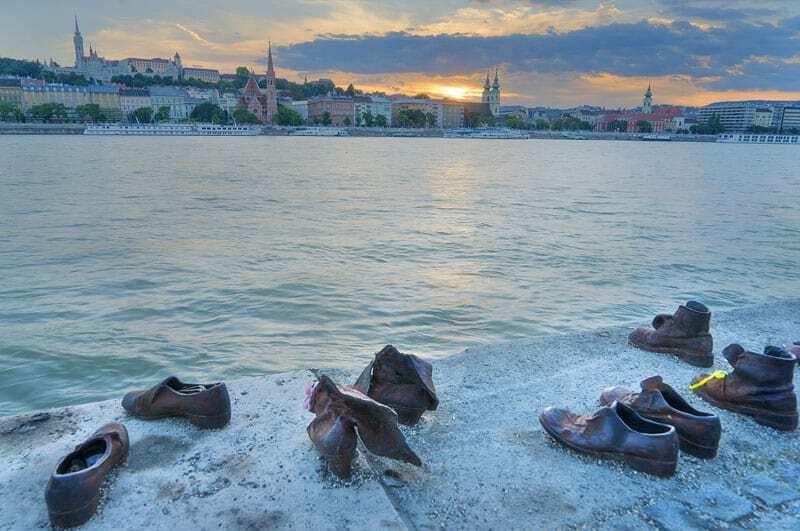 The Shoes on the Danube Bank is a memorial for the 3,500 people massacred during World War II. 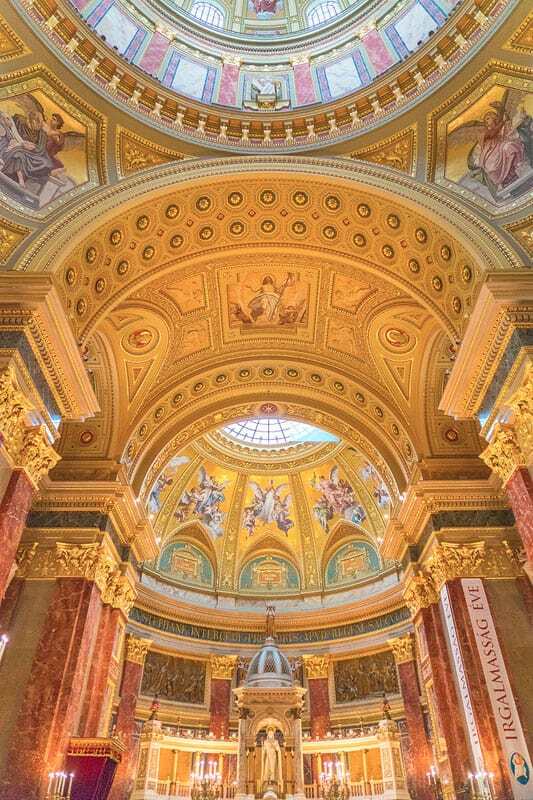 Saint Stephen’s Basilica, named after the first king of Hungary, is a fine example of a neoclassical architecture. The Heroes Square has statues of historical chieftains of the Magyars and other historical leaders. Here is the Heroes Square lights up at night. Tired of looking at ancient buildings and architecture? 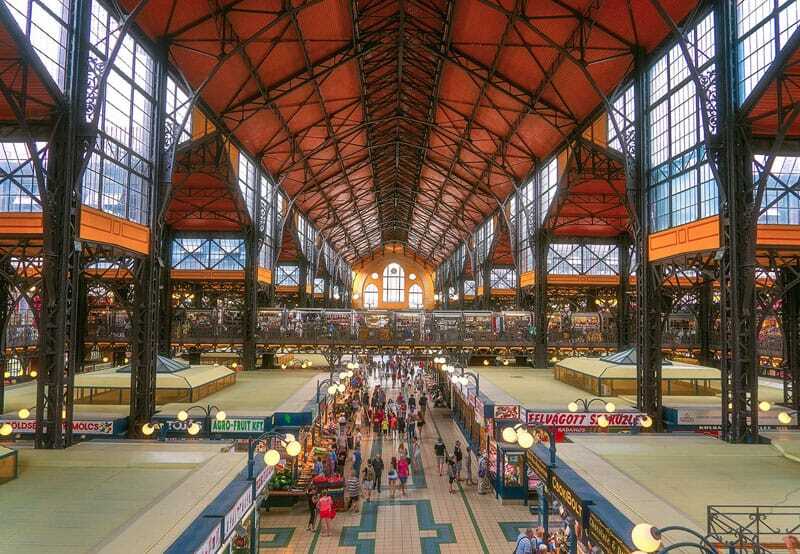 Head on over to the Great Market Hall, the oldest and largest market in Budapest. 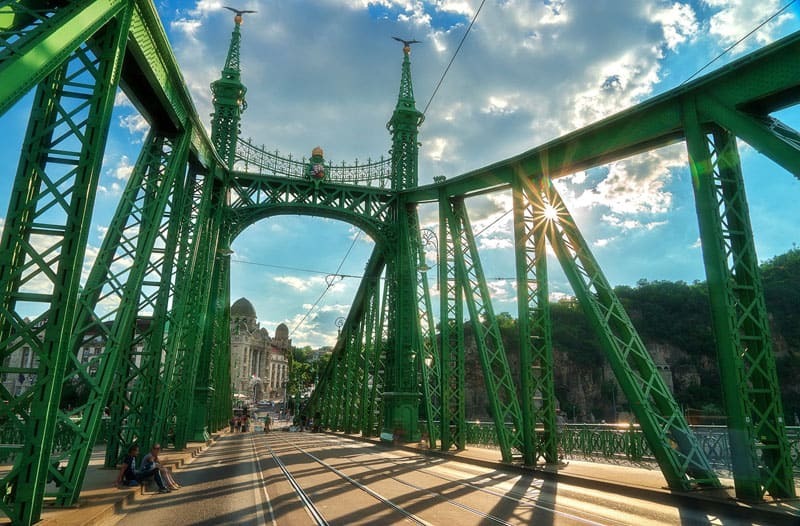 Here is the Liberty Bridge as seen from the Pest district. And there you have it, 18 of my favourite pictures of Budapest. It is one of the most photogenic cities in Europe with a rich history and many things to do. Don’t know where to start exploring Budapest? 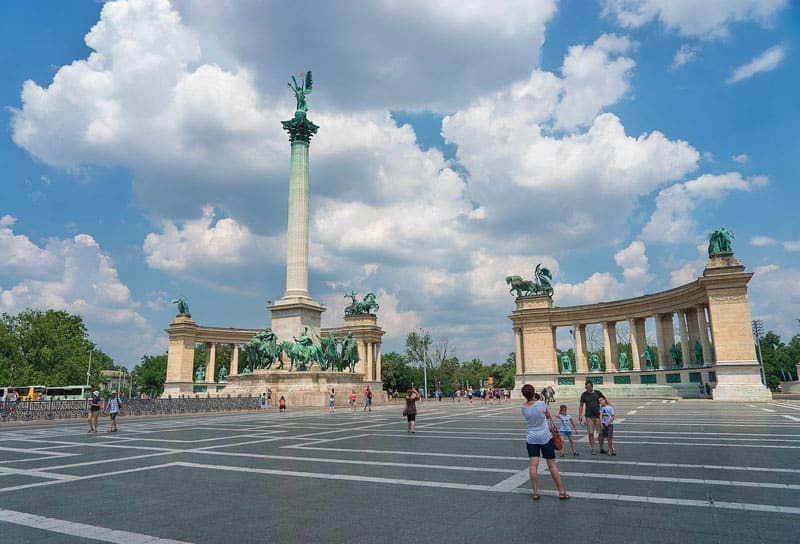 Check out Budapest Sights: Exploring Buda, the Classy Half of Budapest. 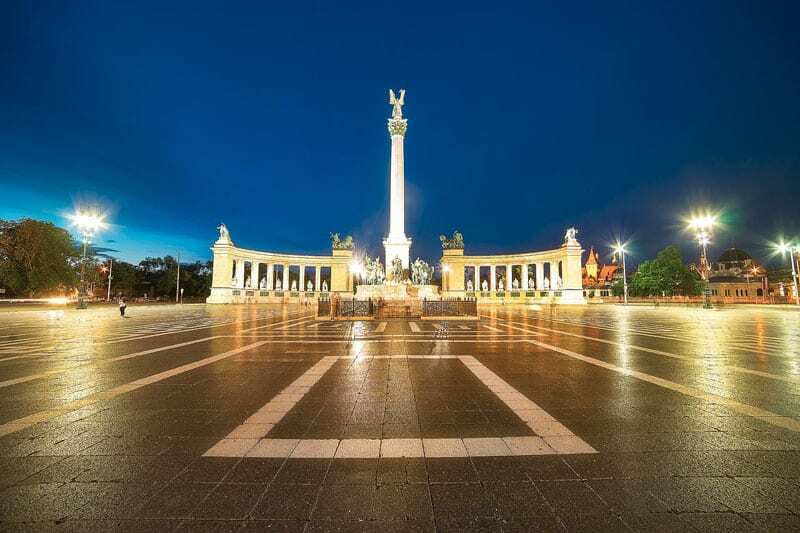 Get around Budapest with a 24hr, 48hr or 72hr Budapest Card. It also offers free entry to a thermal spa and other discounts. Details here. 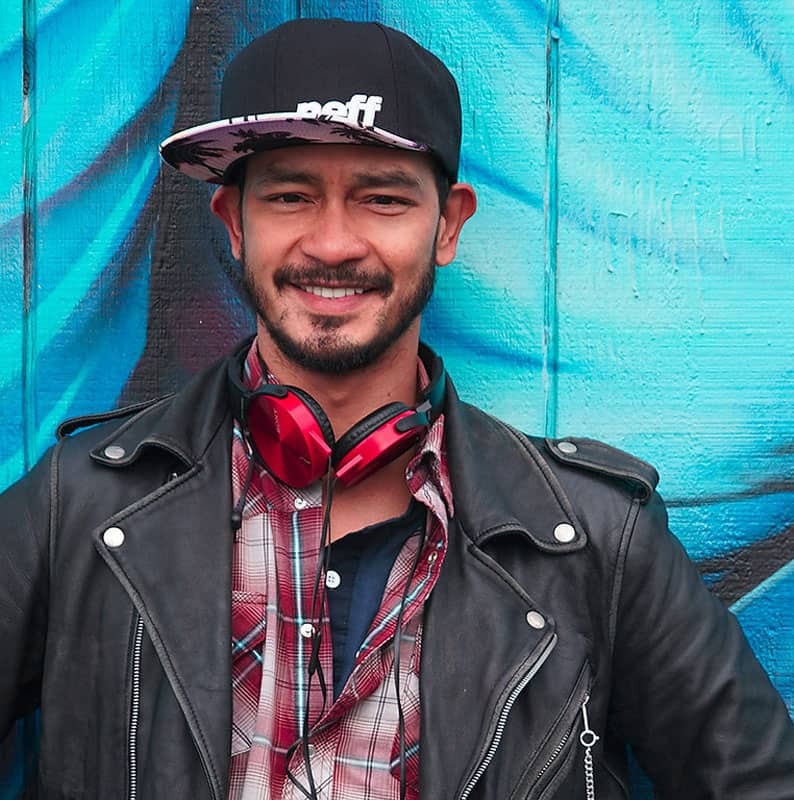 Adonis Villanueva is the photographer behind Always Wanderlust, an alternative travel & photography blog focused on inspiring others through amazing photography and stories around the world. You can follow him on Twitter, Facebook, Instagram, Pinterest, and Google +. 10 Responses to "18 Pictures of Budapest That Will Make You Want to Pack Your Bags"
Great article! Budapest has so much to offer, lovely city, especially for photographer. I will definitly take my camera and spend another week there! say it is awful for regular wheelchairs. Amazing place, my dream to visit this place. Please can you share me the budget of this trip. Great pictures of this beautiful city! I just want to say one word, it’s “WOW”. Great Article! After go through with your Article just want to pack my bags for Budapest! Beautifully Described by you. Thanks!! I am also love to do Travelling and find out new places! Wow! Stunning! I had been to Budapest… but now I am wanting to go back again! The bridge and the Hungarian parliament are the most photographed place and rightly so. It’s even better with the fireworks on the National Day.